In this quickstart, you'll set up Microsoft Intune to automatically enroll devices when specific users sign in to Windows 10 devices. If you don’t have an Intune subscription, sign up for a free trial account. Microsoft Intune subscription - sign up for a free trial account. To complete this quickstart, you must first create a user and create a group. Sign in to the Intune as a Global Administrator or an Intune Service Administrator. If you have created an Intune Trial subscription, the account you created the subscription with is the Global administrator. For this example, you'll use MDM enrollment so that both corporate and bring-your-own-devices can be automatically enrolled. 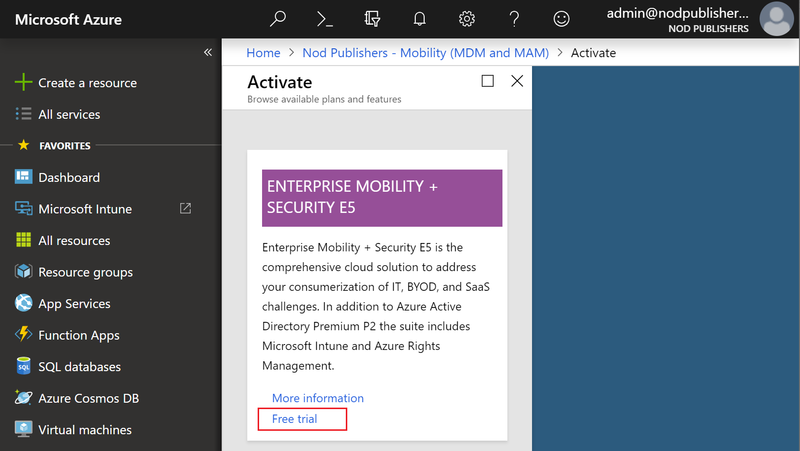 You will sign up for a free Azure Active Directory Premium subscription. 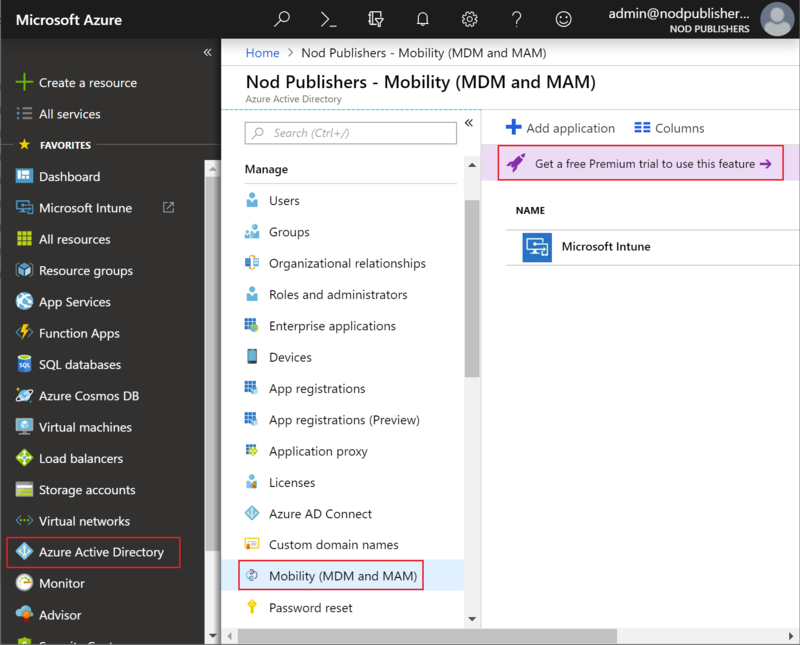 In Azure, choose Azure Active Directory > Mobility (MDM and MAM). Select Get a free Premium trial to use this feature. 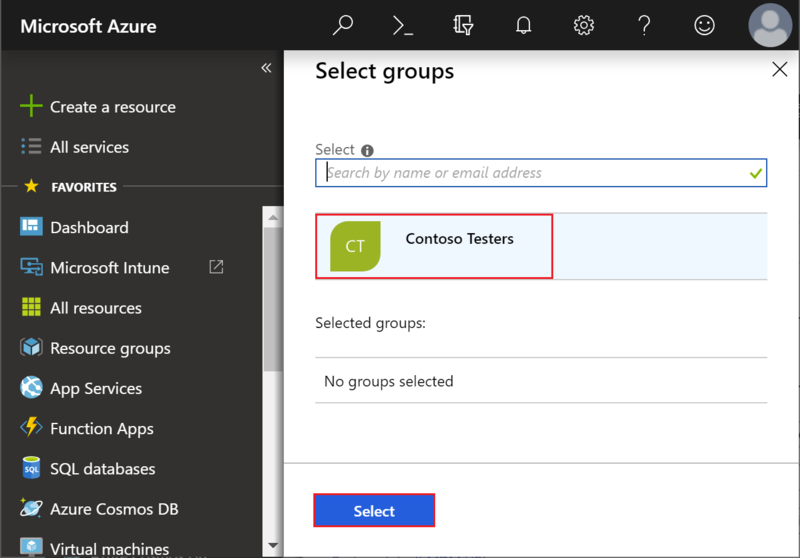 Selecting this option will allow auto enrollment using the Azure Active Directory free Premium trial. Choose the Enterprise Mobility + Security E5 free trial option. In addition, you must choose to Activate the free trial. 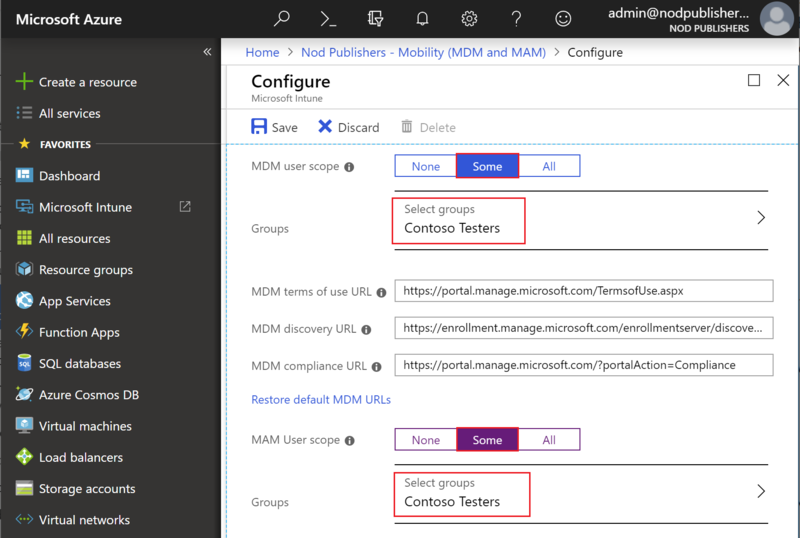 Select Some from the MDM user scope to use MDM auto-enrollment to manage enterprise data on your employees' Windows devices. MDM auto-enrollment will be configured for AAD joined devices and bring your own device scenarios. Choose Select groups > Contoso Testers > Select as the assigned group. Select Some from the MAM Users scope to manage data on your workforce's devices. Use the default values for the remaining configuration values. To reconfigure Intune automatic enrollment, check out Set up enrollment for Windows devices. In this quickstart, you learned how to set up auto-enrollment for Windows 10 devices. For more information about device enrollment, see What is device enrollment?